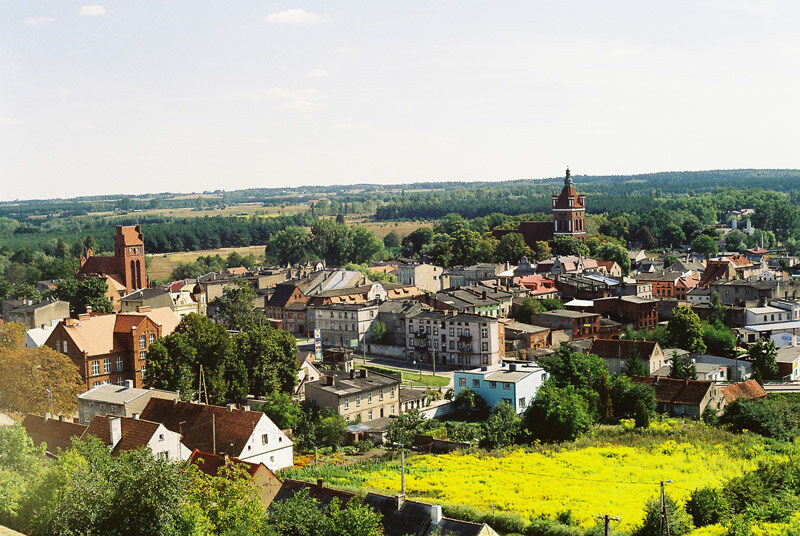 During his stay in Szafarnia, Fryderyk Chopin used to visit the town of Dobrzyń upon the Drwęca River and the town of Golub, which were then divided by the Drwęca River and a border established by occupants. In Golub, little Fryderyk visited the former Teutonic castle, which was then ruined, and standing in the pulpit of the Evangelical church, which was then under construction, he read his own texts to other visitors. In the town market he saw more wooden and half-timbered houses than the one still standing in the market. He admired the Gothic parish church with its rarely found clearance under the tower and considerable sections of fortified walls with towers around the town. Visiting Dobrzyń, he could not have missed the new church erected in the Classical style (a parish church since 1909), as it had been founded by Antoni Wybraniecki of Sokołowo, Chopin’s acquaintance.